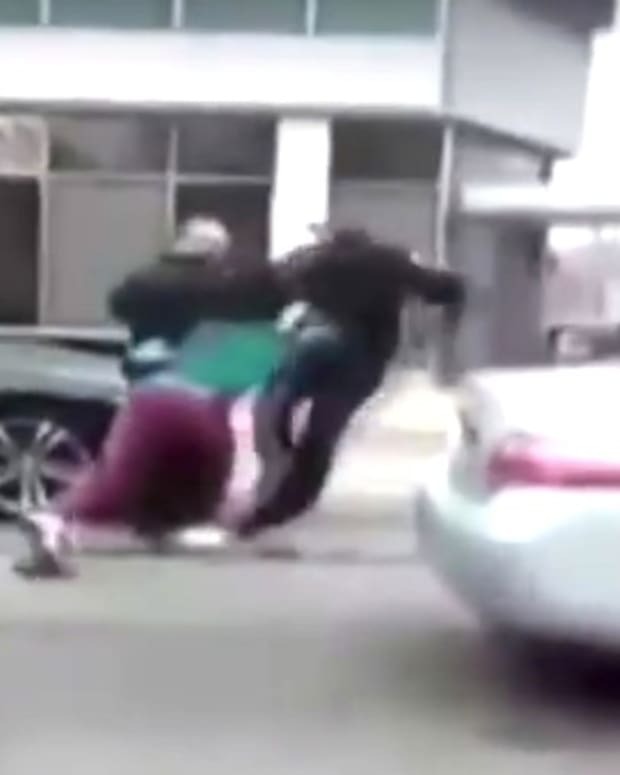 A wild brawl broke out at Overbrook High School in Philadelphia on Monday after a posting on Twitter. 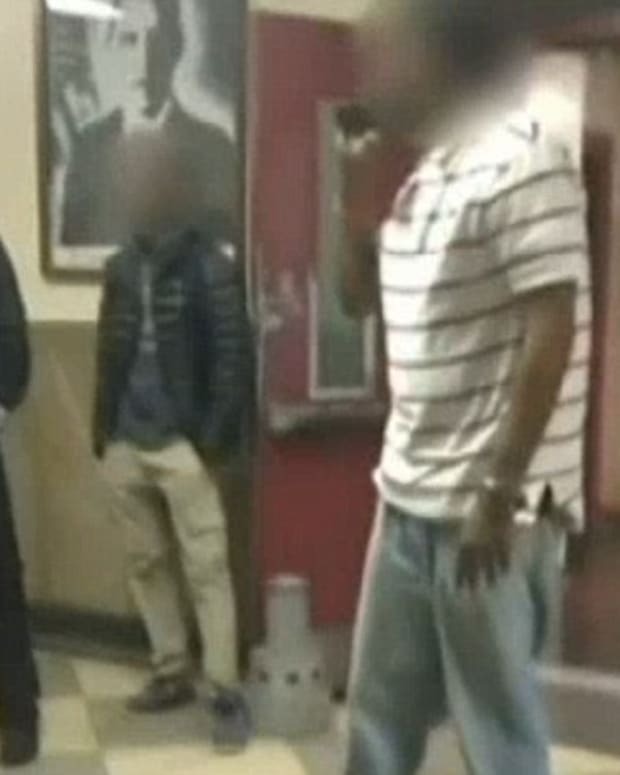 The mass fight was recorded on a cell phone by an unidentified school employee (video below). 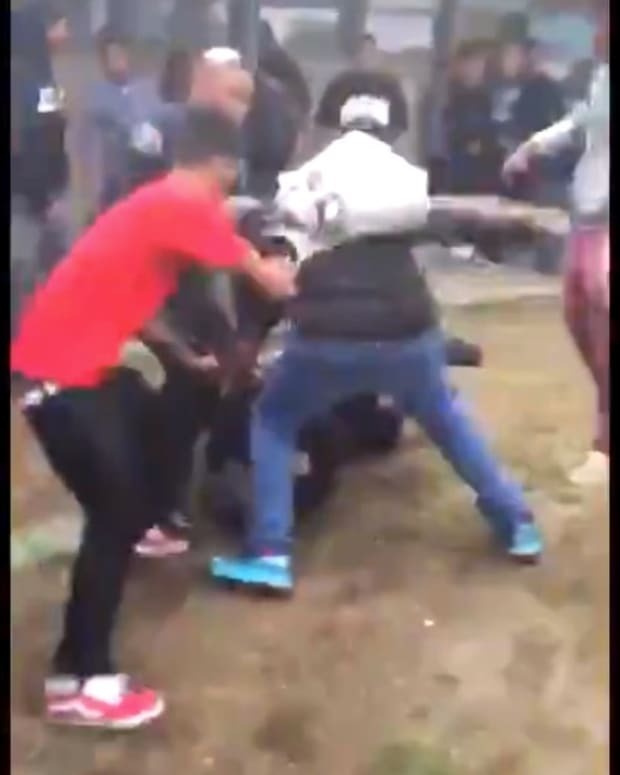 The fight began after a Twitter account was set up to name the "hoes" at the school. “It’s a zoo in here. Parents really need to come up here and see what’s going on in this school because it’s ridiculous,” added the employee. After the brawl, police put Overbrook High School on lockdown. 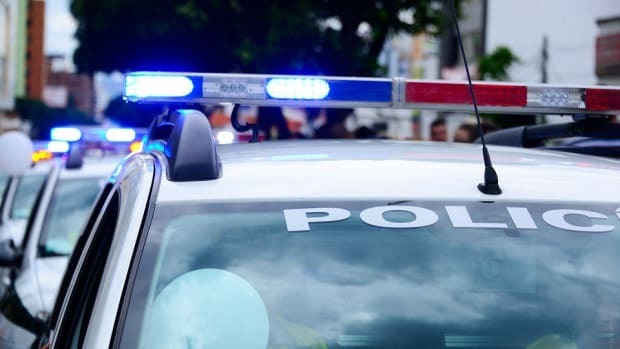 "As a result of this disturbance several injuries were reported, two minor injuries to students and one minor leg injury to an administrator," Philadelphia Police Chief of School Safety Carl Holmes told NBC Philadelphia. According to police, 10-12 students were taken into custody. Nine of those students were cited for disorderly conduct and released.